Time Nightclub is set to open tonight in the dome-topped signature corner of the Triangle in Costa Mesa. From a preview of the place, it seems it will have all the swank of a Las Vegas hot spot. 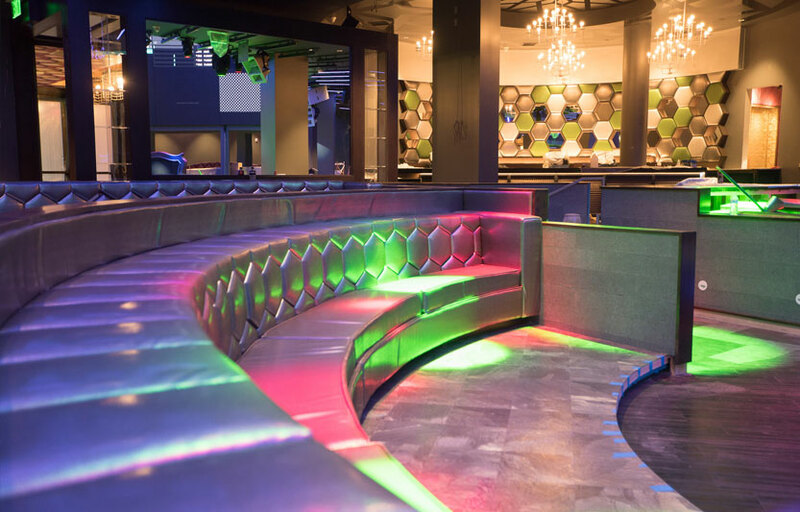 The new club replaces Sutra in the restaurant and entertainment complex. After a 13-year run, Sutra closed last weekend with a three-day lineup of DJs. The new venue, on the Triangle’s lower level, will continue mostly with the electronic dance music that drew clubgoers to Sutra, Kelly said. 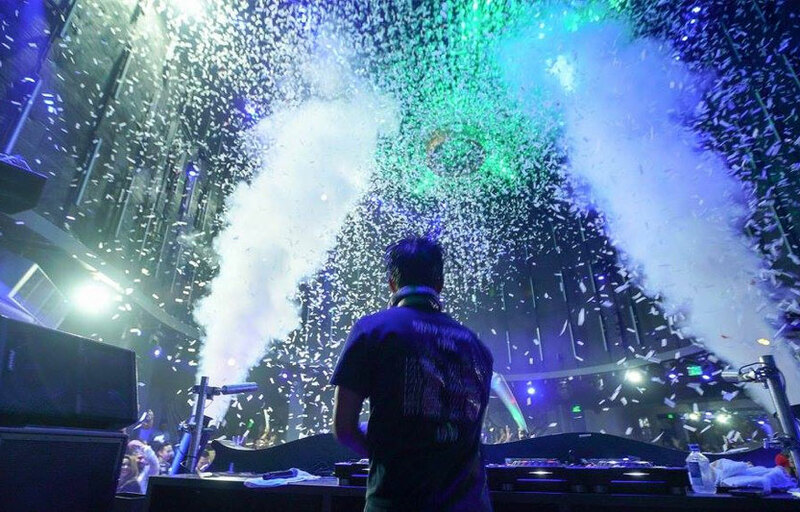 Tonight, German American DJ Markus Schulz is the scheduled act at Time. But with its removable DJ booth and a stage that can accommodate a five-piece band, Time won’t be limited to DJs, Kelly said.“We’ll bring in a lot of different things, between live bands and other types of music that attract a bigger (audience),” he said. That could include DJs playing Top 40 hits and hip-hop, or live music, including country, especially on quieter nights when the club is rented for private corporate events, he said. Inside, the place is almost unrecognizable from its days as Niketown, when a grand staircase stood at the center of the athletic apparel store. It has been transformed into something with the dramatic look of a Vegas club. The layout is centered on the dance floor, larger than Sutra’s and backed by a giant LED screen on which DJs can play graphics to accompany their beats. There’s an immense chandelier of LED bulbs and strips of LED bulbs on the ceiling throughout the club for a variety of lighting effects. Deep colors and fantastic touches add to the luxury theme. Walls are patterned with a zebra print. 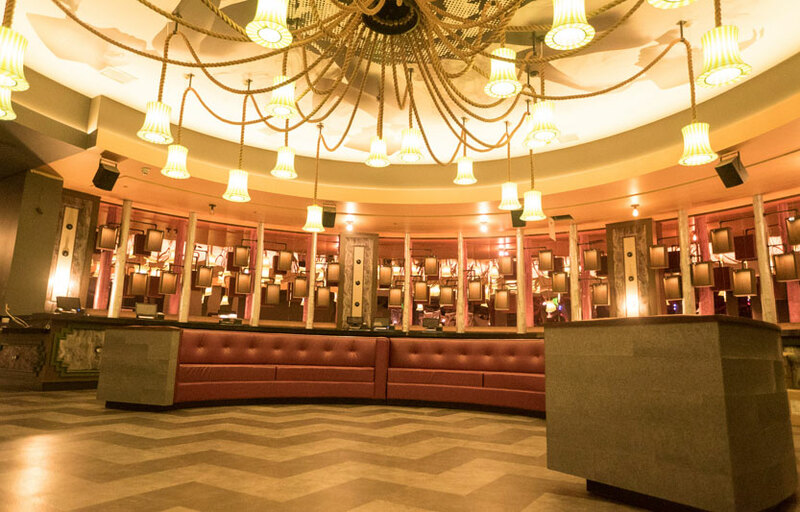 Pink-tinted mirrors and two dozen hanging green lampshades decorate the main bar. Splashy designs and images cover the ceilings. There are also a separate bar and lounge for women only, set off by the women’s restroom. We have a free guestlist on most nights. Use promo code DISCO at TimeNightclub.com to get 10% off your ticket orders. Where is Time Nightclub located? 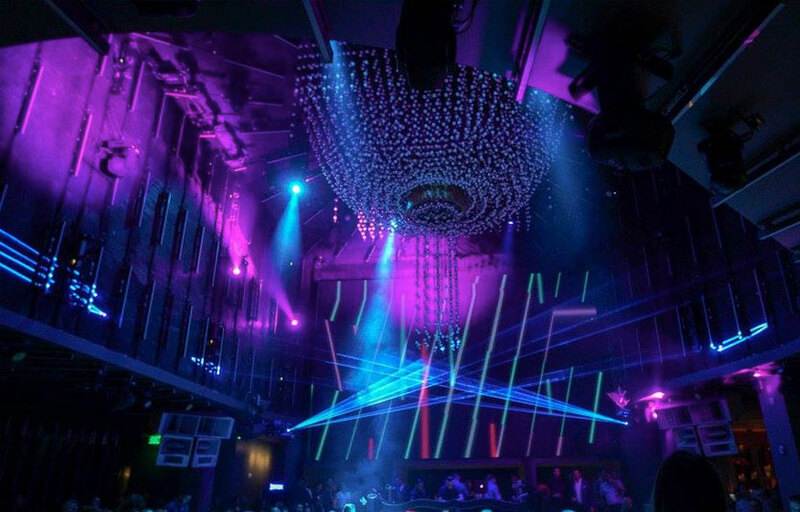 Time Nightclub is located in Costa Mesa at 1875 Newport Blvd. How much is cover charge at Time Nightclub? General admission is typically $20-40+ depending on the talent. How long will I have to wait at Time Nightclub? Time just opened and is the hottest club in the OC right now. Expect long waits. We recommend arriving EARLY if you don’t want to wait. When is Time Nightclub open? Time opens at 9 PM and goes until 2. 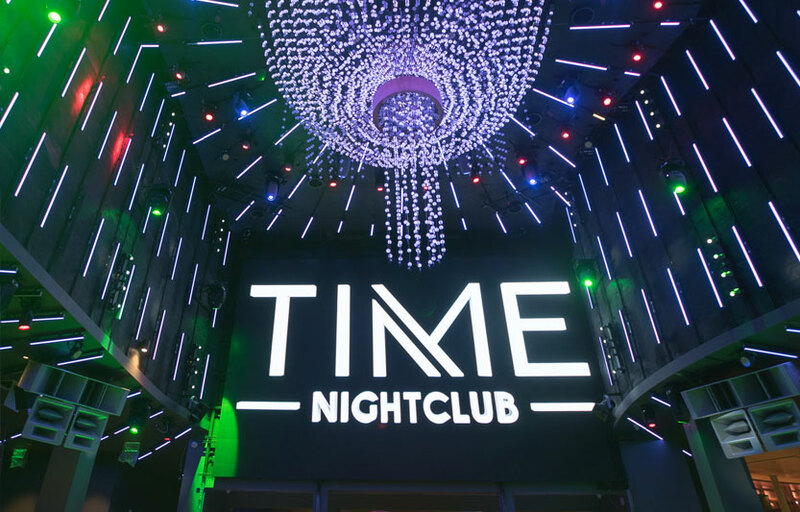 What are the best nights to go to Time Nightclub? Thursdays, Fridays and Saturdays are all good. Check the Discotech app to see who’s spinning! What is the dress code at Time Nightclub? Is there parking near Time Nightclub? You can park in the Triangle parking complex. How much do drinks cost at Time Nightclub? Drinks here are on the more expensive end. 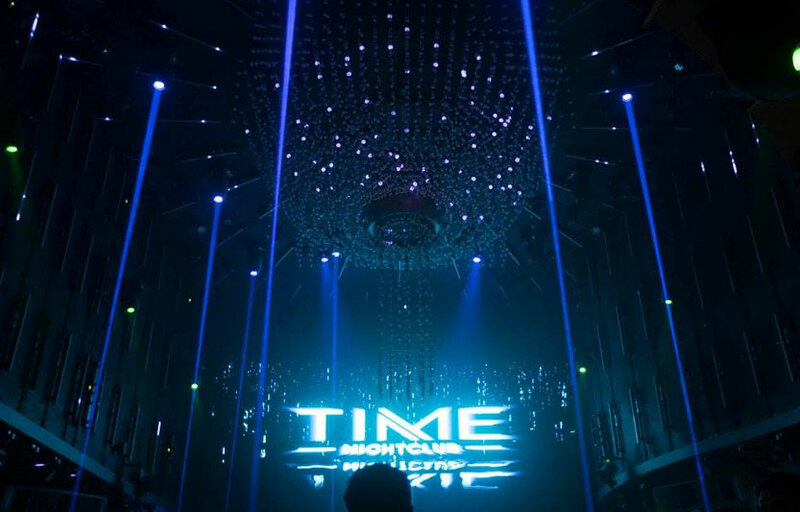 Time Nightclub features EDM DJs and hip hop artists. What kind of music do they play at Time Nightclub? Time Nightclub usually has EDM DJs but on certain nights they will feature Hip Hop artists as well. Where can I find an list of upcoming events / DJs at Time Nightclub? You can download the Discotech app to see upcoming events, and book tables for Time Nightclub. 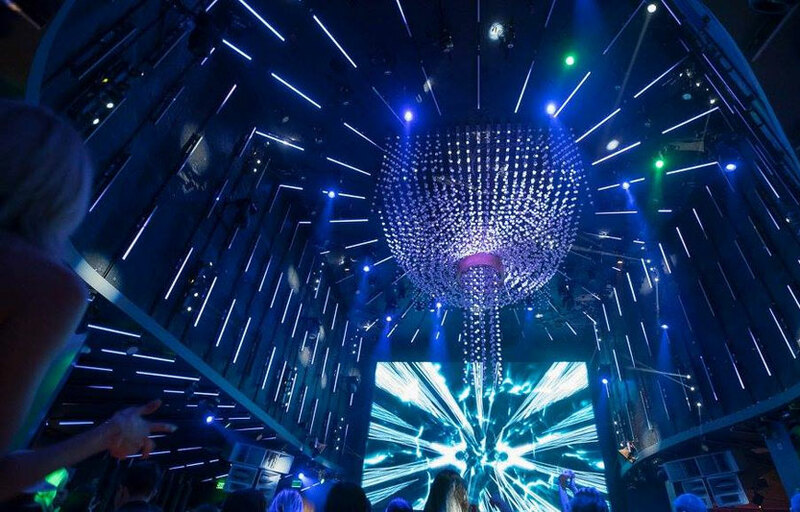 You can also visit Time Nightclub’s homepage for a current list of events.